Dual Flex System Upper. 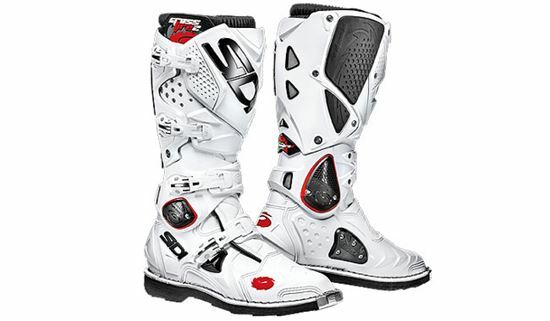 The Crossfire2 maintains the key feature of the Sidi Flex system, with its two articulated joints. The lower one, on the ankle, improves leg flexation and allows for a more natural and correct position on the foot pegs. The upper pivot, on the bootleg, improves the boots flexibility and the adjustment of the bootleg itself. In this way the rider can adjust the boot strap at the calf to his personal preference and achieve an improved fit. The Italian construction and expertise produce a boot that will last. The SRS version continues with the replaceable sole system. Other improvements have been in the fit for New Zealand feet with a slightly wider foot but keeping its low profile toe design to make gear shifting easier. 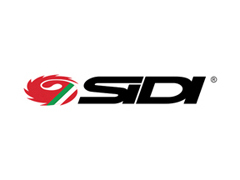 This is the reason Sidi use a non-bootie design. Booties make the foot area larger and cumbersome by adding to the boots thickness plus they retain heat. There is improved ventilation in the calf area and down the back of the boot. The Crossfire2 still comes in the traditional sole and the SRS replaceable sole version.